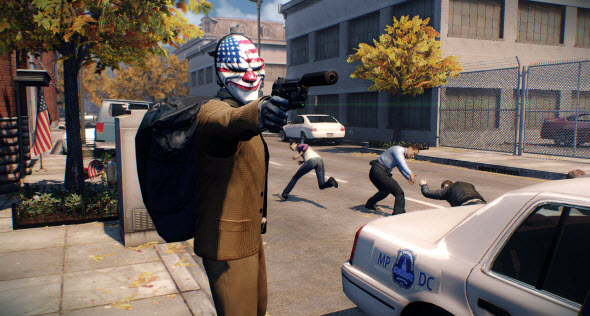 One of the best August game releases - Payday 2 - appeared on Steam a few hours ago. The developers decided to celebrate this event with the new awesome trailer. If you still have doubts about this project, new media and first reviews will help you to make a decision. Payday 2 game is a cooperative shooter, in which you are going to rob banks and jewelry stores. After rather interesting Payday: The Heist the developers decided to continue the story about successful looters and created much more immense and upgraded project, and from now you are able to evaluate it by yourself. Payday 2 game is already available on Steam, but the console versions of this project have not been released worldwide. In Europe Payday 2 game for the Xbox 360 and PS3 will be available only on the 16th of August, and on PSN this game will be launched tomorrow, on the 14th of August. But nevertheless many journalists have already managed to write the reviews on Payday 2 game. In most of publications the project has brilliant rating - 8 out of 10. The reviewers have marked out that to succeed in Payday 2 game, you need to be good both in strategy planning and shooting, that is very exciting.